Hi! 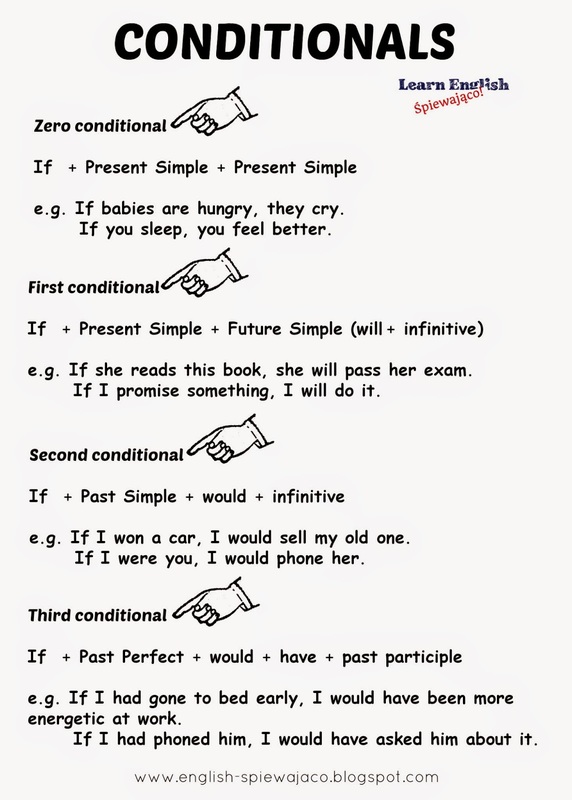 Today just a short post with conditionals. 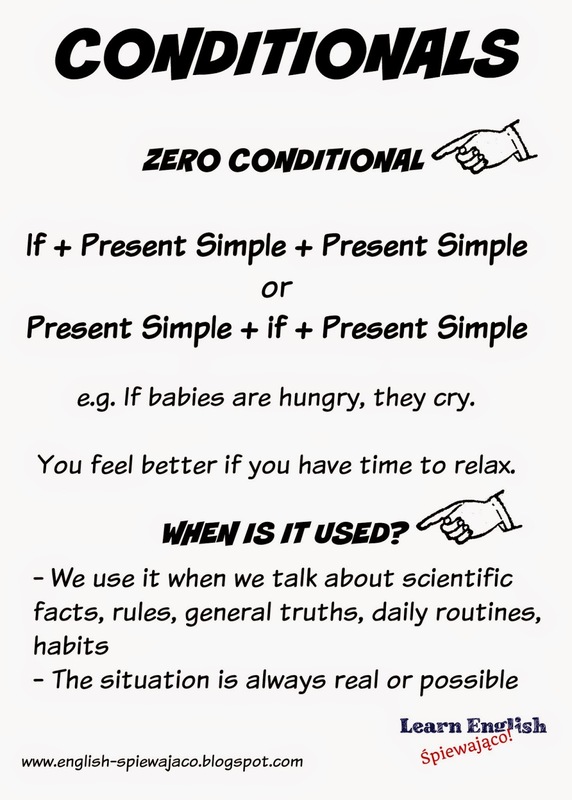 Have you ever had a problem learning or teaching them? 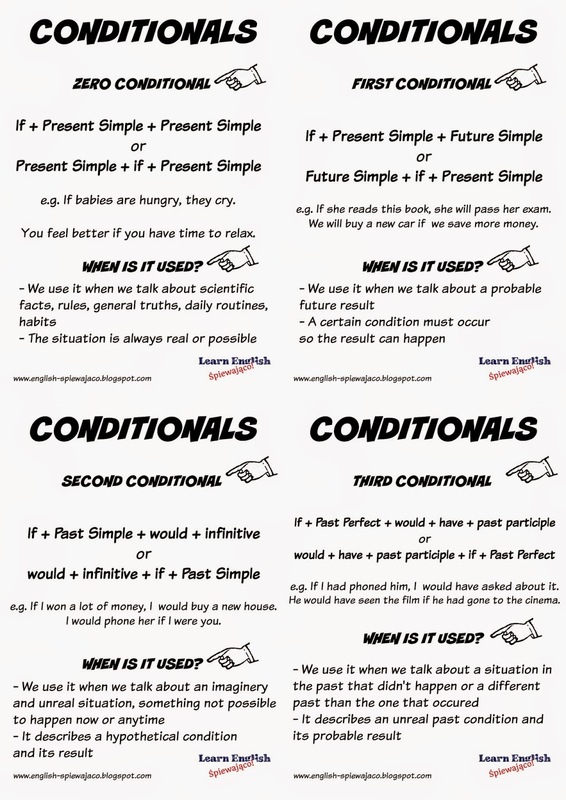 Here you can find handouts ready to print and share with your students! 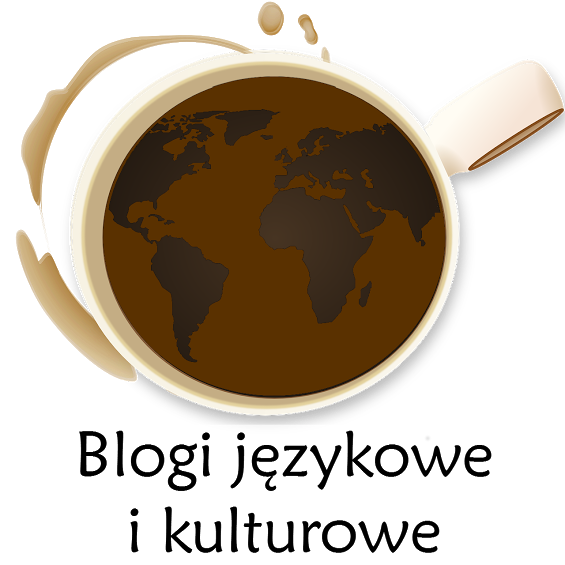 Let me know if they are useful for you! 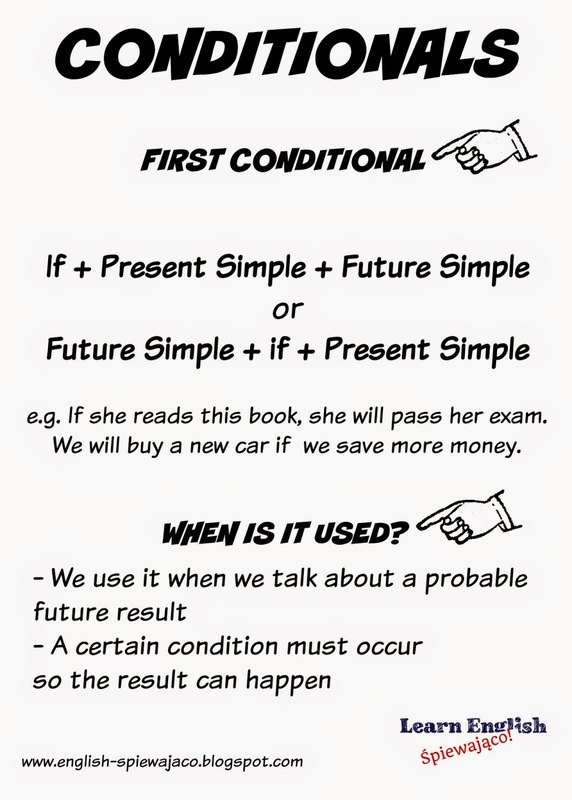 There are also mixed conditionals when the time in the if-clause is not the same as the time in the result. If I had won the lottery, I would buy a new car. If Mark had gotten the job instead of me, he would be moving to France. Of course there are! 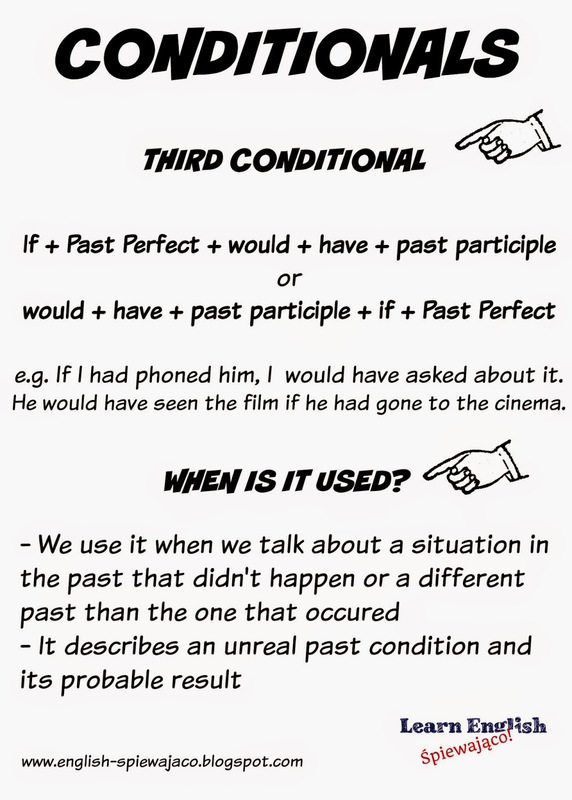 But they (mixed conditionals) are not a subject of this post. 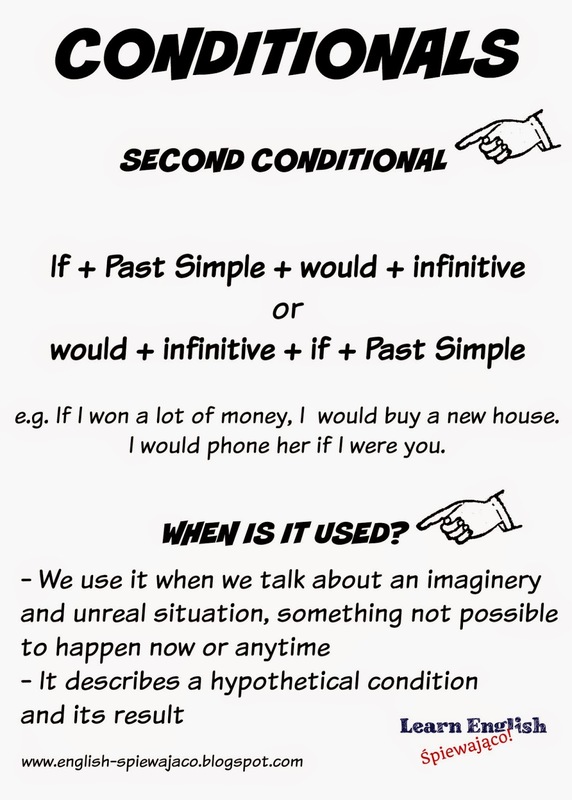 There will be another one devoted to mixed conditionals :) Thanks for visiting!